Houston's Regulatory Compliance & Information Security Experts! Double Board Certified (ANSI) by ASIS & ISACA. Regulated by the State of Texas Regulatory Services Division (RSD). Licensed by the State of Texas #C15323. IT Audit, Information Security, IT Risk Assessments & Analyses, HIPAA, PCI-DSS, Cyber Security. Double Board Certified (ANSI) by ASIS & ISACA. Regulated by the State of Texas Regulatory Services Division (RSD). Licensed by the State of Texas #C15323. IT Audit, Information Security, IT Risk Assessments & Analyses. Our main office is located in Houston, Texas. We specialize in personable, on-site security and compliance consulting services, IT and network security services, IT auditing services, data mapping services, HIPAA risk analysis, HIPAA risk assessments, PCI-DSS risk analysis, PCI-DSS risk assessments and security management plans. Houston businesses and medical practices. Being local matters!! Our data loss prevention, IT risk assessment, IT audit, IT security management, and in-house compliance engineering services offer a one of a kind solution package for any Houston business or medical practice under regulatory compliance restrictions in the State of Texas. Citiscape IT is a Texas Covered Entity (CE), and we are audited annually by the State of Texas Regulatory Services Division. Meeting the strictest guidelines by the State of Texas Security Division, our fully vetted information security and technology consultants meet and exceed the security requirements by the State of Texas. Our network of licensed and board certified privacy and security compliance associates offers expertise in developing and implementing reliable and workable information privacy, security, regulatory compliance and electronic information exchange solutions for public and private organizations of all sizes. We primarily serve the healthcare and financial services industries but serve other Houston businesses as well. IT audit and data loss prevention is a category of information security services that can detect unauthorized network transfer of valuable digital assets such as credit cards, personally identifiable protected health information (PHI / ePHI), company proprietary assets, personally identifiable consumer information and other protected data federally regulated, as well as regulated by the State of Texas. The majority of hacker attacks and data loss events are not on the IT infrastructure but on the data itself and are usually an inside job. Almost all companies have proprietary information needing protection; when you have other valuable data (credit cards, customer lists, social security numbers, physical addresses of clients, confidential personnel records, ePHI) you must protect it. Transfer of digital assets such as company proprietary business information, trade secrets, credit card information, and PHI by trusted insiders, trusted systems, or trusted third party vendors, can cause much more economic damage than viruses to a business. Once a data breach occurs and a competitor steals your proprietary data, or your company winds up being sued because of leaked PHI or legally protected information, you cannot "reformat the hard drive and restore from backup"; there will most likely be significant economic damage to your business and reputation as well as other possible fines and legal issues to deal with. A firewall is not enough to protect digital assets and illegal activity inside the network. Many firewall implementations are not correctly implemented or monitored after deployment. 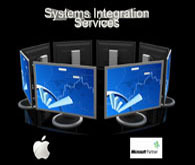 We help our clients grow through effective technology deployment and management. We design, procure, and implement software and network projects as well as information security services to meet your business and computer systems, network, information security and information technology needs. Basic security is grounded in sound operations. Solid process controls in the business functional areas and in IT operations management can mitigate many of the risk vectors. Process controls can often be implemented at a cost even small and medium sized businesses (SMB's) can afford. Information security should be viewed as a strategic process, but there's no doubt the process is heavily influenced by regulatory compliance issues (including Texas privacy law), all areas of our expertise. For organizations that deal with regulated data in the State of Texas (most businesses fall under this category and not just Healthcare; see our "Did You Know" section below), there has to be a balance of both—security of the data and security of the process. 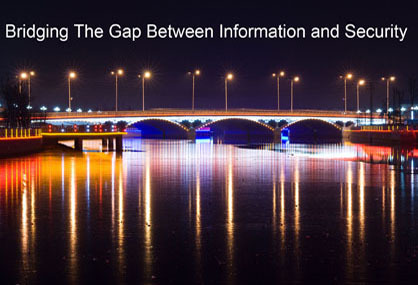 Maintain proper and effective information governance across the enterprise. Risk and vulnerability assessments, penetration testing, analysis and reporting. Mitigate risks and reduce costs associated with unstructured records and to protect sensitive business information. Information mapping, identify and classify records according to business value, compliance, regulation and information governance policies. Security-as-a-service, ongoing HIPAA & PCI-DSS management plans and initiatives. Efficiently and economically obtaining and enforcing your document retention and legal hold policy to mitigate risk, while carefully avoiding spoliation of relevant data, is a delicate balancing act. Strike a balance between managing risk and avoiding spoliation. Call us for details at 281-733-2422. ALL businesses in the State of Texas MUST protect sensitive information (not just medical / healthcare). A person who conducts business in Texas or owns/licenses computerized data, including sensitive personal information, must notify affected individuals after a breach of system security. Complying with HIPAA does not guarantee one has complied with Texas’ privacy laws OR Texas Healthcare law. Texas’ privacy law covers more entities. Twenty-two percent (22%) or more of small businesses have experienced the loss or theft of customer or employee information, according to recent SME studies conducted by the Ponemon Institute. Expert IT consulting, SLA and contract negotiations, IT and cloud computing procurement services, cloud brokerage services, advanced network and corporate IT security services; all by certified and state licensed IT professionals experienced and dedicated to information technology, software development, and business systems. We have vast experience with most business verticals and understand business process, budgets, value, ROI, and other key elements that make each business vertical unique. Superior customer service available to your Houston based business are what we are all about. 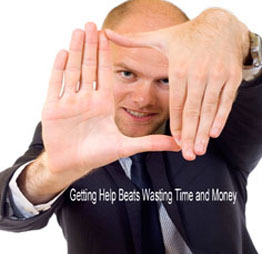 We work to save you money and minimize your technology-induced frustrations. We have many long-term business partners and contacts throughout the Houston metropolitan area as well as the State of Texas. We have a wide range of technology experience with customers in various industries in the Houston Metropolitan Area. We do not sell security solutions, nor do we get paid by those who do. Our recommendations are vendor-neutral and, most importantly, 100% focused on your best interests. 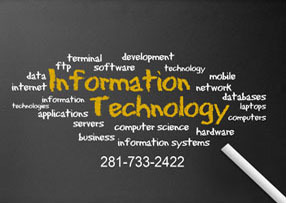 We will help you understand the information technology, information management, security and compliance risks you face unique to doing businesses in the State of Texas; provide alternative ways to manage those risks, and help you demonstrate compliance with the standards and regulations that affect your organization. Our Houston consulting firm is driven by purpose. Protect your investment by investing in our experience. Vendor-independent & unbiased advice for all Houston regulated businesses and medical practices. Expect success! Contact us for your complimentary initial consultation. We never charge for the opportunity to earn your business.